Carnival in Barcelona or in any other part of the world is not just parading and dancing like a wild animal in costumes. Carnival is an attitude, a change of look, a detachment from the usual you and in a way, a special opportunity to release the inner child that still dwells in there somewhere. 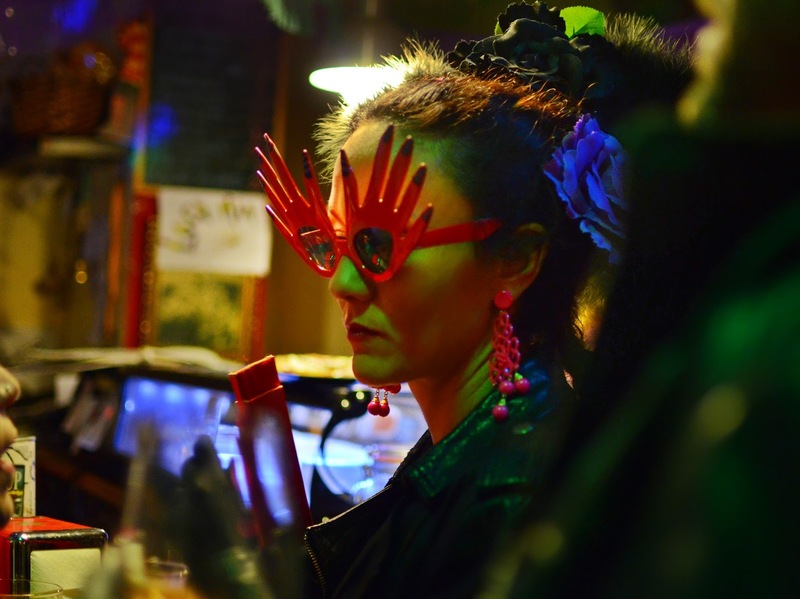 This girl wearing strange glasses and big flowers in her hair in the most pure bailaora de flamenco style and with reminiscences of La Martirio, has a cool glamorous something under the mysterious lights of the Carnival night and is indeed a good example of what I meant.